Autumn seems to keep its schedule this year. As if on cue, right on the 21st of September, the warm weather is gone and it’s rainy and windy outside. Like flipping the switch. And I can’t help it, but I’m immediately in the mood for fall baking. 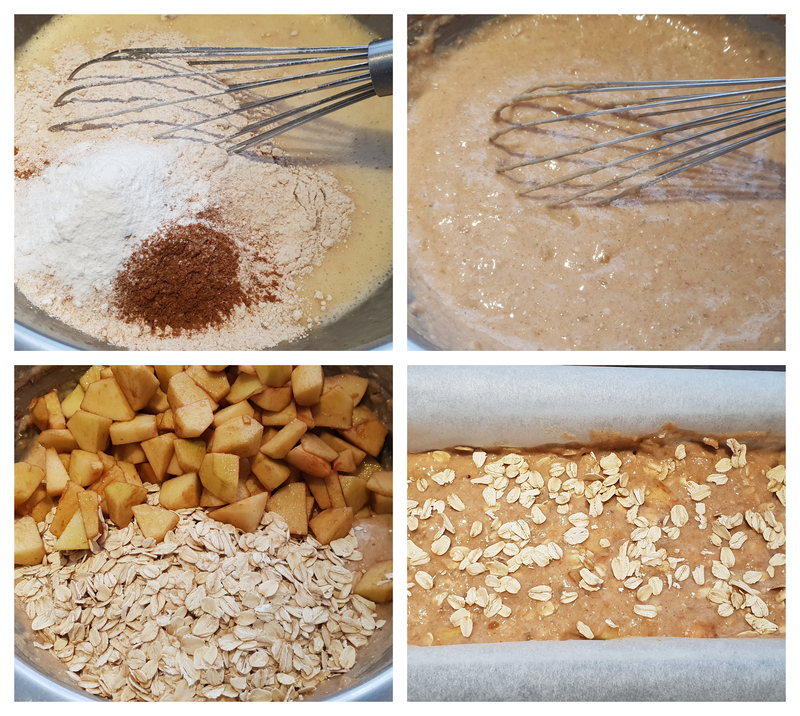 So, I started the season with this delicious banana bread with apple and oats. There is so much you can do with banana. I really don’t like eating (over)ripe bananas, but they are a perfect natural sweetener for cake. If any at all, you just need to add a little bit of sugar or other sweetener to your dough and much less fat. From classic banana bread to heavenly chocolate, everything goes. 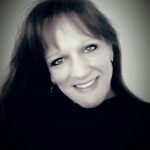 There are already more than 15 recipes using banana on the blog and I’m still bubbling with ideas for more. The weather will get better towards the end of the week, but the wind and rain made me long for comfort food. Apple pie is the ultimate comfort food. We still had a full bag of apples in the pantry and I needed to come up with recipes to make use of those. 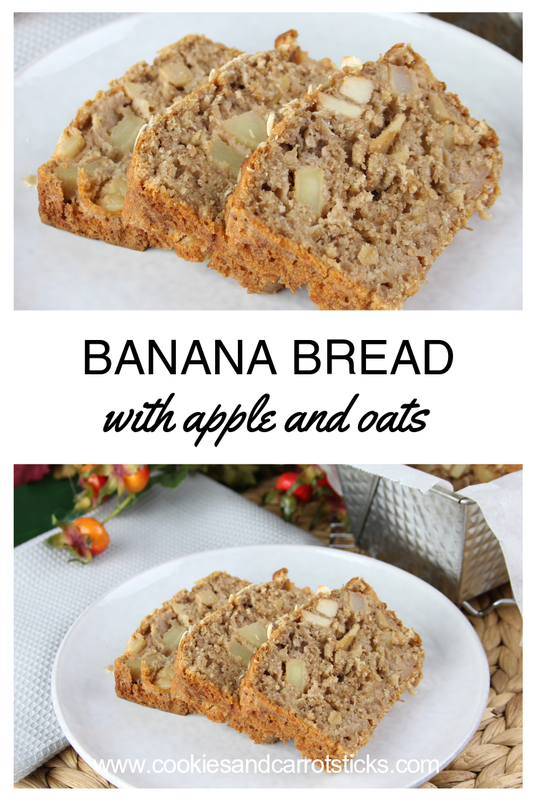 So, I made apple sauce, apple pear sauce and this utterly delicious banana bread with apple and oats. Perfect with a cup of tea and easy as a grab&go breakfast. By using (over)ripe bananas you need much less sugar or other sweeteners. Compared to a regular cake, there is a lot less sugar in this bread. And by using whole wheat instead of white flour and throwing oats into the mix, you’re adding extra fibre. Which is not only healthier, it keeps you full longer. 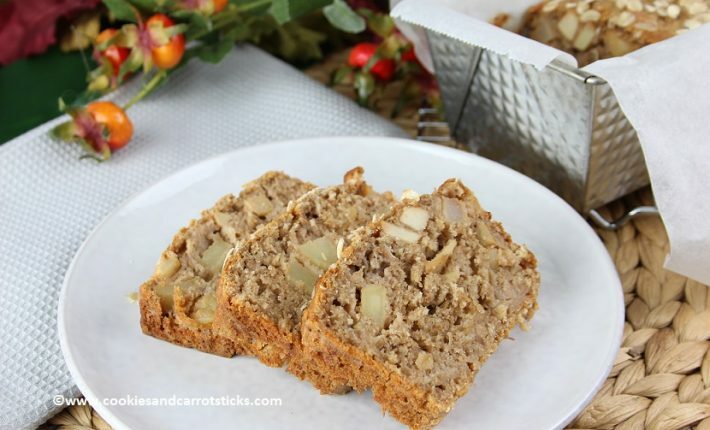 Though I don’t think that food should ever make you feel guilty, if it really does bother you, this banana bread definitely should invoke less guilt ;). Preheat oven to 180°C and line a cake tin with parchment paper. Peel the apples and cut into small cubes. Add 1 tablespoon sugar to the apples and mix. 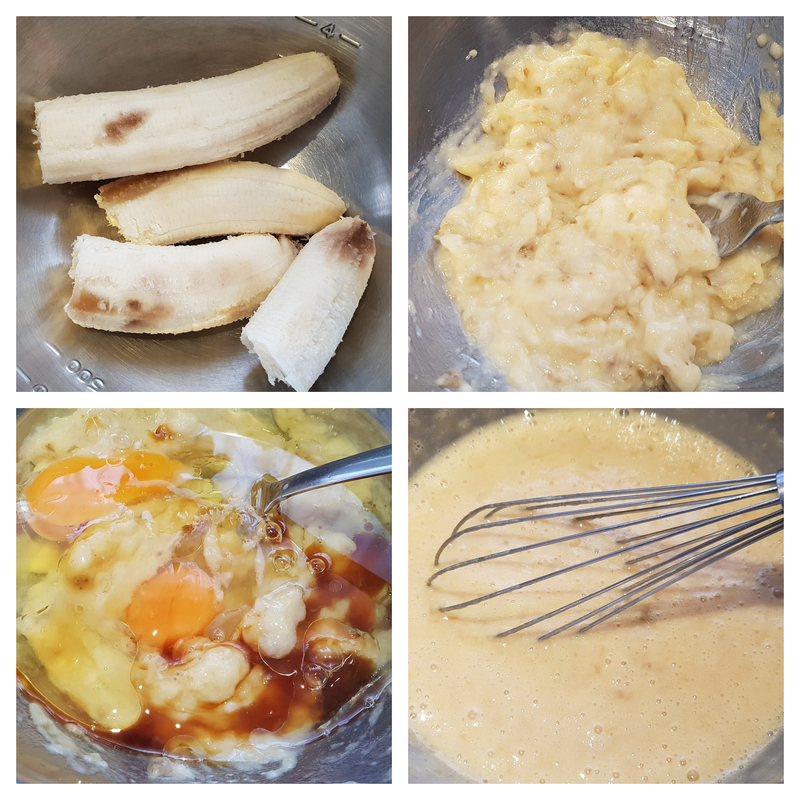 Mash the bananas and mix with the eggs, oil and vanilla-extract. Now add the flour, baking powder and cinnamon and mix until no lumps remain. Fold in the apples and oats. Pour the batter in the prepared cake tin and bake ca. 50-60 minutes in the middle of the oven. 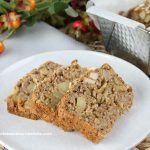 This banana bread / apple cake is delicious in the afternoon with a nice cup of coffee or tea, but it’s also great for breakfast. As is or with good dollop of cookie or peanut butter. Ik wil altijd nog eens een bananenbrood eten. Van een gewone banaan ga ik over mijn nek, maar bananenijs vind ik wel lekker. Dus misschien bananenbrood ook wel.